These are some of our volunteer-led work groups. 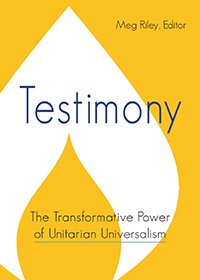 Adult Religious Exploration Committee goals: Sponsor and promote programs that will offer opportunities to be introduced to new ideas and experiences; for people to tell their own stories; to deepen understanding of Unitarian Universalism. Email adultre@hunterdonuu.org. Buildings and Grounds Committee goals: Improving the appearance of our beautiful stone church, Dodd Hall, and the gardens, as well as keeping the facilities in sound working order. Help is always needed for gardening and grass-cutting. We host three clean-up days each year: an outdoor day in both spring and fall and Blue Jeans Sunday, which is the last summer service. Email buildingandgrounds@hunterdonuu.org. Caring Committee goals: Identify the need for care due to a significant event such as failing health, a death of a family member, surgery, birth, adoption or fostering of a child, a move. Arrange assistance such as delivery of some meals, having a “check-in” call, a ride to an appointment, and a friendly visit. Email caring@hunterdonuu.org. Communications Committee goals: Coordinate communication across multiple channels, including Facebook, website, newsletter, emails, and the listserve. It also includes photo permissions and the photo directory. Email communications@hunterdonuu.org. Finance Committee goals: Advise the Executive Board on the development of the Fellowship’s budget and the best use of its assets. The committee uses Board input on fiscal priorities and treasurer information on income and expenses to monitor the current year’s position and suggest a budget for each coming year. Email stewardship@hunterdonuu.org. Flower Guild goals: donate flower arrangements for the altar throughout the year. The group welcomes any new members and flower arranging training can be provided. Email flowers@hunterdonuu.org. Fundraising Committee goals: Goals design and implement fundraising events or campaigns that complement our mission, are intergenerational, and inspire the congregation’s generosity of time, talent, and financial support for FUUFHC in order to reach the fundraising goal which supports the operating budget. Facilitate the fall auction and a spring event. Email fuufhcfundraising@hunterdonuu.org. Hospitality Committee goals: Provide a welcoming environment for visitors and members before and after the main service. Beverages and snacks are usually involved! Email hospitality@hunterdonuu.org. Membership Committee goals: Invite others to meet our new settled minister. Edit our existing policies and procedures. Update our existing brochures to reflect staff and policy changes. Email membership@hunterdonuu.org. Nominating Committee goals: Recruit a new treasurer. Locate candidates for leadership positions. Email nominating@hunterdonuu.org. Pastoral Care Associates goals: Support the minister in pastoral care, reach out to congregants in need of support and bridge with the Caring Committee as needed. Email pca@hunterdonuu.org. Religious Education Committee goals: Fully staff youth programs and provide training for volunteers. Email dre@hunterdonuu.org. Social Justice Committee goals: Social justice work that aligns with the preferences of the Fellowship. Work includes local and global causes. Email socialjustice@hunterdonuu.org. Space Committee goals: To develop a concrete plan: (a) for creating enough space/physical facilities to adequately meet our congregational needs (e.g., Sunday services, religious education) and, (b) for optimizing use of the underdeveloped land. Email space@hunterdonuu.org. Stewardship Committee goals: Plan and administer the annual pledge campaign, which raises over 80% of FUUFHC’s annual operating revenue. The committee also supports other congregational fundraising activities including capital campaigns, loan administration, and endowment planning. The Chair of the Stewardship Committee sits on the Finance Committee. Email stewardship@hunterdonuu.org. Sunday Services Committee goals: Provide a spiritual home on Lay Lead Sundays through a variety of speakers from inside and outside the Fellowship. Assist in the transition from Interim Minister to Settled Minister. Grow the number of Sunday Services Members. Email sundayservices@hunterdonuu.org.